The two young men (brothers Tamerlan and Dzhokhar Tsarnaev) who detonated bombs at the Boston, Massachusetts marathon last week hail from a troubled southern state of Russia - Chechnya. From an article run in the Salt Lake City Tribune, "Chechnya’s President Ramzan Kadyrov said Friday that the Boston bombings had nothing to do with his nation because the "boys" suspected of the acts were raised in the United States. Their attitudes and beliefs, however twisted, he said, were formed in America." With that somewhat confrontive description of the perpetrators, what is worth knowing about Chechnya and Southern Russia, and the Islamic extremist-oriented views that had in particular captivated the older of the two brothers? Again, from the Salt Lake City Tribune article, "The Tsarnaev family, as tens of thousands of their compatriots, lost their homeland in 1944, when Soviet dictator Josef Stalin punished the entire Chechen population’s perceived (and actual) disloyalty to Moscow during World War II by shipping them from the northern Caucasus to Central Asia and the Siberian wastes. As many as half died on the way. The Tsarnaev brothers began their lives in exile, in Kyrgyzstan. The family lived there for a long time but never assimilated. Chechens rarely do, at least that’s a common perception in Russia. Here’s the stereotype: dark complexion; speaking Russian with a thick accent; brave and aggressive, always picking fights; proud and loyal to friends and family but also treacherous and sneaky to outsiders; religious; fiercely independent. After the Soviet Union fell apart in 1991, few Russians were surprised when Chechen leader and the younger Tsarnaev’s namesake Dzhokhar Dudayev unilaterally declared his country’s secession from Russia. Moscow refused, and the act was followed by two horrific wars with the Russian Army. 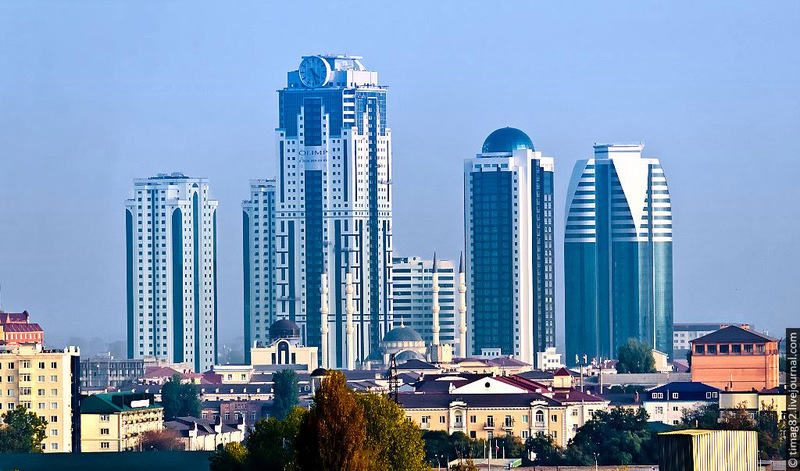 Grozny, the capital of this federal subject (republic) of Russia, had a population at the eve of the dissolution of the Soviet Union in 1991 of nearly 400,000. During the two attempts to break away from Russia, the second Chechen war virtually leveled the city. Even 10 years later, the population in 2002 had grown to only 210 thousand, and the latest census in 2010 shows 271,000. From Wikipedia, "For the period from 1994 to 2003, ... the Russian-Chechen Friendship Society set the conservative estimate of death toll in this time period at about 150,000 - 200,000 civilians, 20,000 to 40,000 Russian soldiers, and possibly the same amount of Chechen rebels." The movement that began as a pro-independence one gradually turned into radically Islamist. It also became international: there were Arab fighters and commanders helping the Chechens fight against the Russians, and there are hundreds of Chechen fighters around the world helping the likes of al-Qaida in hot spots, such as Syria and Libya. In the end, the Chechen rebels were defeated. Chechnya remains part of Russian Federation and is ruled by a Moscow puppet regime led by Kadyrov," says the SLC Tribune article. Current "statesman" in Chechnya, Ramzan Kadyrov, one of Putin's boys. In a recent National Public Radio interview concerning Chechnya, a regional expert, Alexey Malashenko of the Carnegie Endowment for International Peace, was asked "what is at the heart of the conflict between the Chechens and the Russians? MALASHENKO: Well, look, at the moment ... there is no conflict ... between the federal center in Russia [and] Chechnya. ... Because after two Chechen wars, a lot of money was sent to Chechnya for reconstruction and now Chechnya is one of the well-organized and one of the richest republics in Caucasus. .... and even I don't believe that there are big friction and problems between Moscow and Chechnya at the moment. Indeed, modern Grozny in 2013 has been nearly completely rebuilt - money poured in from Moscow, and "orders" given to the Chechen president, Ramzan Kadyrov, to keep a lid on things, which he has, by all accounts, with a vengeance. 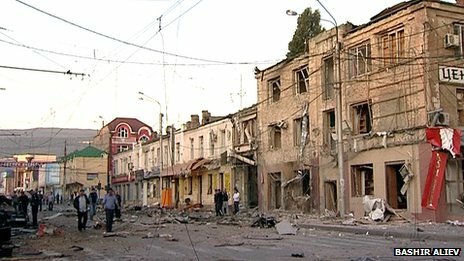 MALASHENKO, "So when they speak about why it (the Boston bombings by the Tsarnaev brothers) was done by Chechens, they don't understand [that] the situation in neighboring republic to Chechnya, Dagestan, [is] much more difficult, much more problematic because, in Dagestan, as we call it, a heart of Caucasus, there is a feel of war, and there in Dagestan, indeed, we have so-called radical Islamic extremist movement and practically every day - and precise, every day, somebody is killed in Dagestan. Appointed by the President of the Russian Federation (Putin), as of January 28, 2013, the acting President of the Republic of Dagestan is Ramazan Gadzhimuradovich Abdulatipov. NPR: What are the causes of the unrest there? MALASHENKO: It's very simple. It's a civil war ... every week or every couple of weeks, we had, in Dagestan, a terrorist act. NPR: But what is the source of the grievance there? Is there a sense that the resources are not fairly shared? Is it a desire for self-governance? MALASHENKO: ... the big ground of this conflict is the frustration of the society in Caucasus, in general, and in particular in Dagestan, and they continue to search for so-called Islamic alternative, by all means, because they are totally unsatisfied with what Moscow is doing in Caucasus, in particular in Dagestan. So it is a reaction. ... It is a desire to organize and end the government and the society on the principle of Islam, on the principle of Sharia. According to a BBC article in November 2011, "Islamic fighters punishing shops that sell alcohol have become routine events in Dagestan's capital, Makhachkala. The owners typically get a warning first, often delivered by text message, or on a USB memory stick thrown through car windows, or into a letterbox. 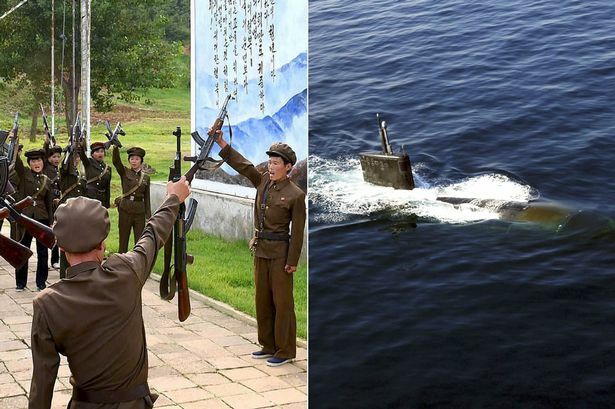 If they ignore it, there may be a bomb or a shootout or the owners may agree to pay protection money. "The fighters like to portray themselves as so devout," says a lieutenant colonel in the anti-terrorism police, "But many are just cynical criminals running protection rackets." US FBI agents traveled to Dagestan to interview the parents of the two American bombers. Zubeidat Tsarnaev, the mother is apparently so traumatized and caught up in her world, that she believes her sons are innocent, and being framed by Russian authorities. 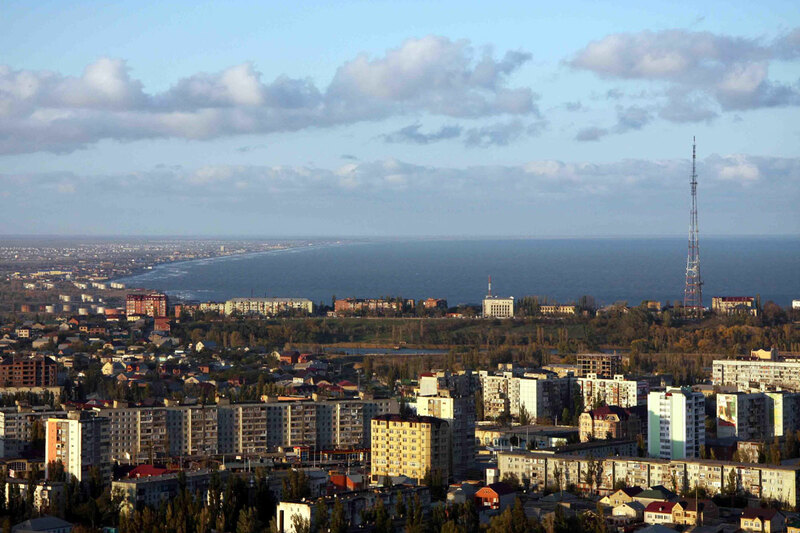 Makhachkala, the capital of Dagestan, is apparently the new epicenter of conflict between Moscow, and nationalism in the Northern Caucasus of Russia, in turn fueled by hardened Islamic extremists. Last year, 378 insurgency-related deaths were recorded in Dagestan, compared with 134 in Ingushetia and 127 in Chechnya. And as a teenager in Dagestan noted, when asked about the Boston bombing, ""What do I think about the Boston bombings?" he asked. Then he shrugged his shoulders. "Here in Dagestan, we have our own Boston every day." To be fair, another panoramic view of Dagestan's capital. 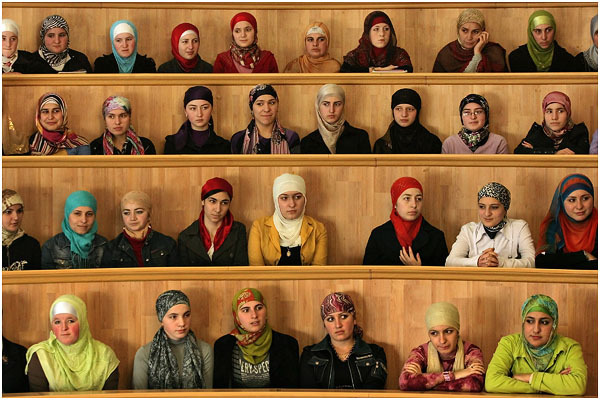 And to make it complex, here is another picture (and apparently well known one by Russian photographer Sergey Maximishin) of students in 2008 at a Theological college, in Dagestan. The republic is one of the most diverse regions of the world, home to approximately 30 languages, according to a BBC regional profile.